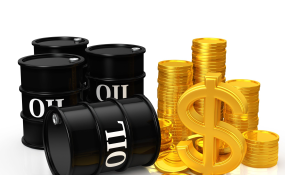 Nigeria's Excess Crude Account (ECA) has been ranked as the most poorly governed among similar funds operated by resource-rich countries in Sub-Saharan Africa, a new report by the Natural Resource Governance Institute (NRGI) has shown. The report showed that Nigeria's ECA ranked lowest among other sovereign wealth funds assessed by the NRGI, ranking last alongside the Qatari Investment Authority. The new report, titled "Resource Governance Index: From Legal Reform to Implementation in Sub-Saharan Africa", looked into the gap between the state of resource governance in relation to oil, gas and mining laws, and the practices on the ground. A total of 28 countries in the region were selected and assessed in different areas of resource governance. The report found that Sub-Saharan Africa is, on average, the lowest-scoring region in relation to sovereign wealth funds. "Six funds, which together manage over $8 billion in resource revenues, attain failing scores," the report said. "These funds are found in countries that achieve poor scores in control for corruption." Although Nigeria operates one of the largest funds by asset balance at the time of the report, its ECA ranked as the worst governed in the index. "The government discloses almost none of the rules or practices governing deposits, withdrawals or investments of the ECA," the report said of Nigeria. The ECA is an account used to save oil revenues above a base amount adopted as benchmark price in the budget. The report said Nigeria has other sovereign wealth funds, some of which are more transparent. But as the largest fund by asset balance, the report revealed, "the potential revenue loss through ECA constitutes a critical challenge in the country where over 90 per cent of government revenues come from the oil sector." The management of the ECA has been a source of concern among Nigerians and other stakeholders in the oil and gas sector. While the report put the balance in the ECA at $2.4 billio, being the figure as at the time the report was being put together, new details have since emerged showing that the amount in the ECA has been depleted. Last December, details emerged through the Federation Accounts Allocation Committee (FAAC) that the excess crude revenue account savings had been depleted to only $631 million within three weeks. The shocking disclosure came barely three weeks after the Minister of Finance, Zainab Ahmed, disclosed at the end of the committee's meeting in Kaduna that the balance in the account stood at about $2.319 billion. In February, PREMIUM TIMES published a detailed breakdown of how, in the last fifteen years, the Nigerian government spent at least $107.4 billion (the equivalent of N15.46 trillion) from the Excess Crude Account (ECA) under the administrations of Olusegun Obasanjo, Umaru Yar Adua, Goodluck Jonathan and incumbent President Muhammadu Buhari. The report noted, however, that despite the huge arbitrary spending, the nation has failed to transform its potential into growth. The NRGI'S index assesses nine countries in sub-Saharan Africa that have set up sovereign wealth funds to save, invest and balance resource revenues. The Ghana Stabilisation Fund achieved a score of 93, the report showed, making it the second-best governed fund in the index and the only one to sit in the good category in the region. On the same scale, Nigeria's ECA recorded a score of 4. "Ghana's high ranking is a result of clear rules and advanced oversight mechanisms, including by the parliament," the report said. "Botswana's Pula Fund achieves a satisfactory score of 65, even though it does not have binding rules on how much is deposited into and withdrawn from the fund each year." For years, there have been controversies over the "illegality" of Nigerian government's continued operation of the ECA without the requisite legal backing. The Auditor-General of the Federation, Anthony Ayine, in his last report released in 2018, advised the Nigerian government to legalise its continued maintenance of the ECA. In the report, Mr Ayine recommended that relevant government agencies and the Federation Accounts and Allocation Committee (FAAC) initiate the process to legalise the creation of the Excess Crude Oil/Petroleum Profit Tax/Royalty Account, through the National Assembly. Earlier in November 2017, the Nigerian Senate had declared the ECA illegal, with some senators describing it as the "biggest slush fund" for governors. In its report, the NRGI advised that ministries should ensure sovereign wealth funds are subject to oversight independent of the fund's management and the executive. "Parliamentary approvals for withdrawals, and a rules-based deposit, withdrawal and investment framework audited by a supreme audit institution or external auditor can help," it added. Similarly, it said the funds should publish annual reports containing information on assets, investments and returns, which help assess their feasibility of a fund as a revenue management tool. In the area of licensing, the report also identified that there is opacity in Nigeria's key decisions including qualification of companies, process rules and disclosure of terms of extraction. "In Nigeria's oil and gas value realisation component, licensing is the weakest link with a score of 17 of 100," the report said. As the first step in developing mineral resources, it explained that the award of exploration and production licenses presents a critical opportunity to set the course of governance for the entire life cycle of a project. Sub-Saharan African countries that performed best in licensing are Mozambique, Burkina Faso, DRC (for mining), Guinea and Ghana. Ten countries achieved failing scores in this area, it said, including significant resource economies like South Africa, Nigeria, Botswana, Sudan and Madagascar. The report noted that it is particularly important for government officials to disclose ownership in extractive companies to avoid conflicts of interest. While seventeen out of 28 countries require public officials to declare their financial assets, including investments in extractive companies, to a government entity, five (Burkina Faso, Ethiopia, Guinea, Niger and Uganda) require these disclosures to be made publicly, and two, Burkina Faso and Uganda, actually disclose this information. The report recommended, among other things, that licensing authorities should run transparent license allocation processes to ensure qualified, legitimate companies are selected to develop resources. "They should publish prequalification requirements and rules of allocation, and negotiable terms when licenses are awarded through competitive tender or auction," it said. The NRGI report explores resource challenges and governance in Sub-Saharan Africa, with judicious use of data set and evidence documents comprising over 10,000 legal texts, reports and other data sources.